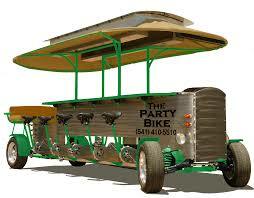 Looking for a High Performance Party Bike or Rail Bike Motor? What sets our motors apart from the rest? 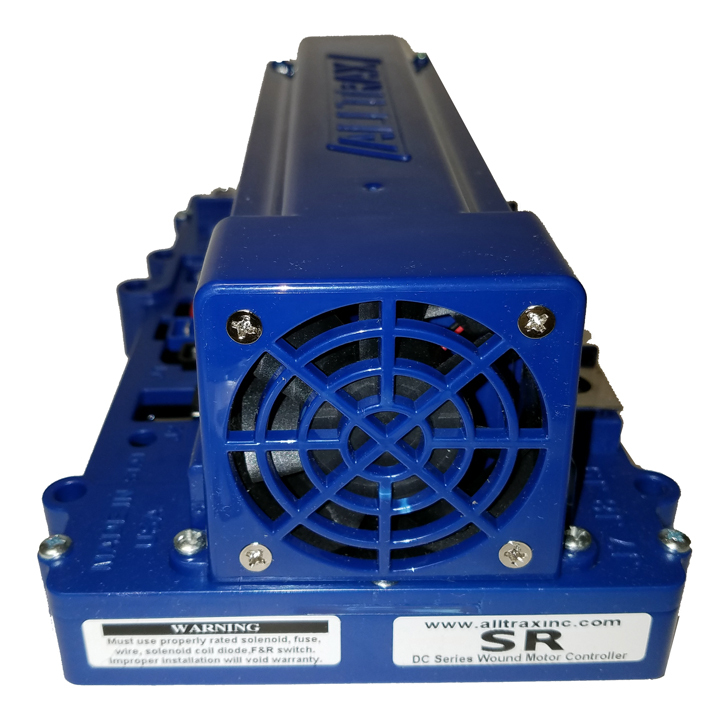 • All Motors & Controllers Made in the U.S.A. !! • Over 80 years of Key Management Experience in DC motor design & mfg. • Made with more steel & copper and thus provides better thermal capabilities. • Less current draw and thus longer vehicle range. For any NEW EVALBUM.COM listing!! 1. 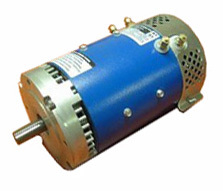 Ensure you include at least 2 or 3 photos of the electric motor and components you purchased from us. 2. Then we will review & issue a credit to your credit card. * If you ever wish to share any positive or negative feeback with regards to our ditributors, please click here. 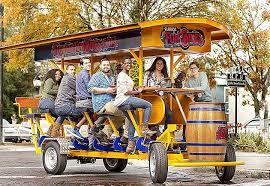 On a brisk Tuesday recently, we went with 10 pedalers to Indy. Our crew consisted mostly of sedentary types, but it included one who had just finished his third Ironman and one who grunted a lot and was weirdly comfortable with the phrase “my spin class.” With our group and a 25-gallon cooler of beer aboard—we always test with a full tank of fuel—the rig weighed 4376 pounds. That explains the automotive-grade brakes. Our bike also had a Volvo rear axle and a VW steering wheel. Its owners, brothers Brian and Stephen Lindsay, say that chassis parts are different on each of their bikes. 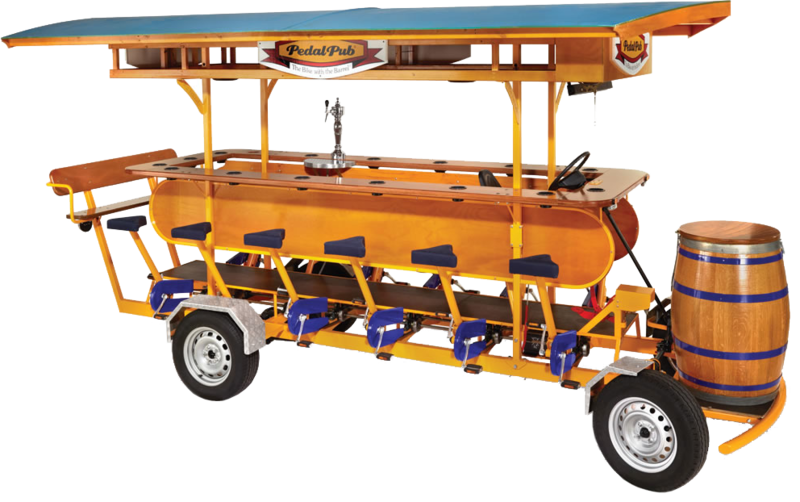 Bring Out Your Hipsters: The PedalPub’s two-shaft, single-ratio setup ensures that all pedalers operate in sync. Our ride started with acceleration testing. 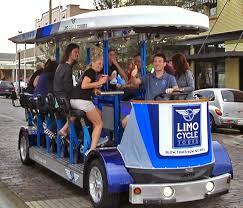 We went just an eighth of a mile before our winded, half-stewed pedalers threatened to get off. From our 9-mph trap speed, we can extrapolate that our pedaling crew didn’t make much horsepower. We touched 12 mph briefly, then we experienced terminal foot float, a sort of redline in which feet fly off the pedals. Also, we were gasping. 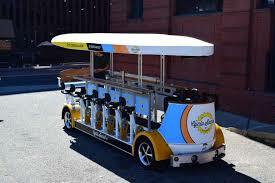 We then settled into a relaxed 5-mph tour of the city. Cruising faster than that or climbing a hill can get tough, and working hard while drinking hard seems like a recipe for vomiting. But many feet make light work, and as a team-building activity, this one’s hard to beat. 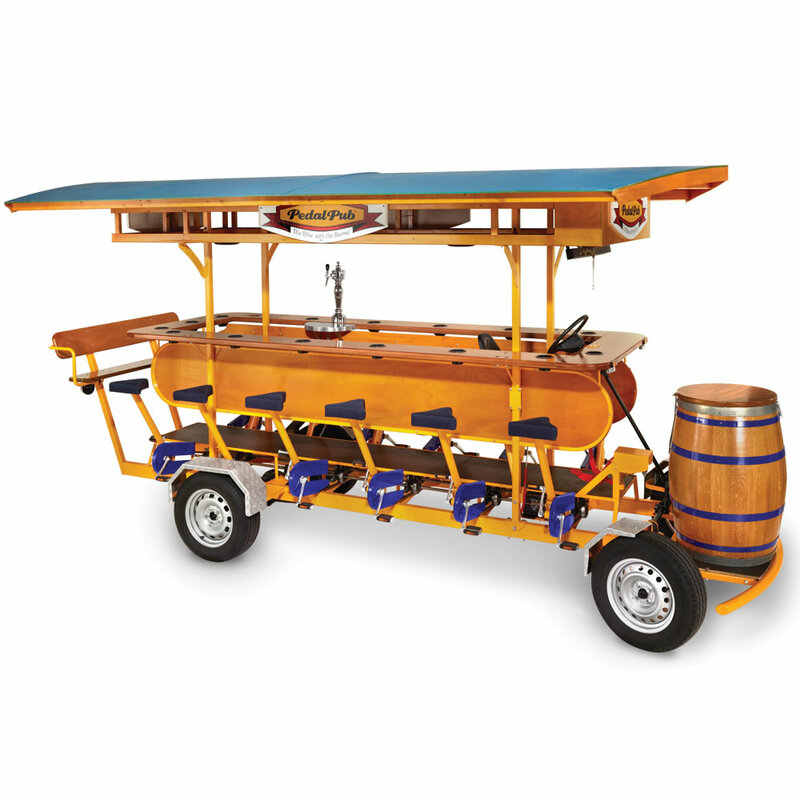 The HandleBar is a novel way to see a city and a fun means of staying busy as you get buzzed. As our blood-alcohol content crept up, so did our cruising speed and the volume of our voices, the former reaching 7 mph and the latter nearing obnoxious. (The Lindsays agree that bachelorette parties are the worst.) Tours book in two-hour chunks, and with time running low, we tried one last top-speed run down a gentle grade. The speed readout flickered past 12 mph, and then the world went dark. Maybe we blacked out. Or maybe we entered a tunnel and lost the GPS signal. Nobody seems to remember. 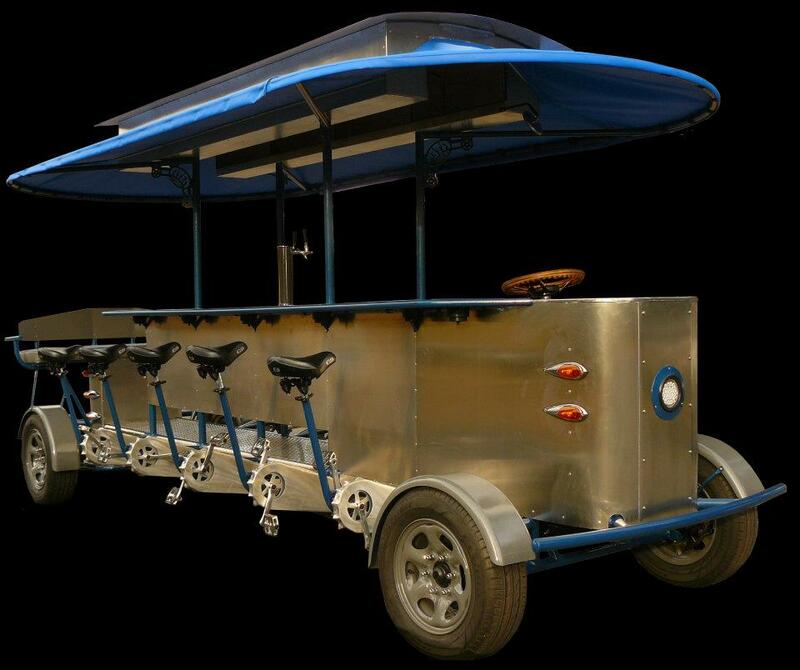 Party Buses: A PedalPub is about a foot shorter than a GMC Yukon XL Denali but holds nearly twice as many people. The two aren’t similar in any other way, either. Lasers already help police spot speeders; soon, they could identify drunk drivers, too. A team of Polish researchers has developed a roadside laser to detect alcohol vapor. They aim across the road a laser with a wavelength that is absorbed by the vapor. As cars pass through the beam, any drop in laser strength indicates the presence of booze on an occupant’s breath. Engineering students who want to set new efficiency records for cars can enter contests like the Shell Eco Marathon or World Solar Challenge. But there's also a competition for those who prefer vehicles that ride on rails, rather than travel on roads. Competitors in the Delsbo Electric contest work toward the goal of building the most efficient battery-electric rail vehicle possible. 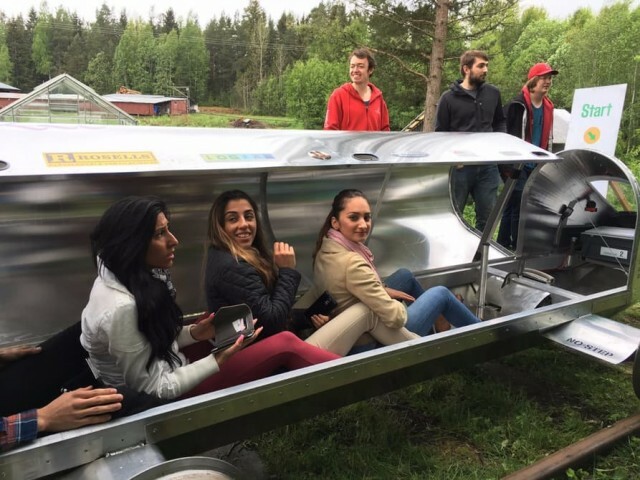 Held on a stretch of tourist-railroad track near the town of Delsbo, Sweden, it's open to college students. 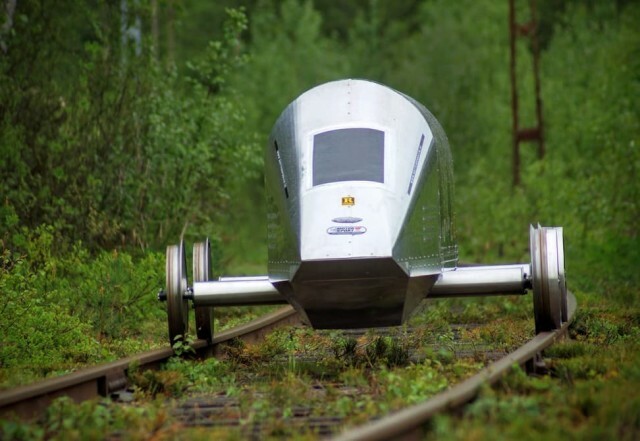 This year, the winner was a sleek silver railcar called Eximus 1, entered by a team from Sweden's Dalarna University. Eximus 1 achieved an efficiency rate of 0.84 watt-hours for every kilometer traveled by each passenger, which is a record for a rail vehicle, Delsbo Electric organizers told Gizmag. Looking a bit like a scaled-down version of classic U.S. streamlined trains from the 1950s, Eximus 1 weighs just 100 kilograms (220 pounds), and is powered by a 500-watt (0.67-horsepower) electric motor. It's made mostly from aluminum to save weight, but with steel wheels like a typical railcar. Delsbo Electric contestants have their entries' efficiency measured over a 3.36-kilometer (2.09-mile) stretch of standard Swedish railroad track. Eximus 1 completed the course in roughly 20 minutes, but only used its motor for only 110 seconds of that time. With steel wheels on steel rails, trains have have relatively little friction to deal with compared to cars, and Eximus 1 took advantage of this by coasting for long stretches. 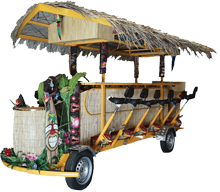 Delsbo Electric entrants must also be able to carry one to six passengers, with a minimum average weight of 50 kilograms (110 pounds) per person. Since efficiency is calculated per person, vehicles that carry more people are not inherently penalized. The vehicles demonstrated at Delsbo Electric take efficiency to the extreme, but another technology under development may be more applicable in the real world. Trains have used electric power—from overhead wires or a current-carrying third rail—since the early 20th century. Now researchers at Britain's University of Sheffield are trying to equip them with vehicle-to-grid (V2G) capability similar to what has been proposed for electric cars. This "V2T (vehicle-to-train)" arrangement would store power trains normally waste while braking for later use, according to Charged EVs. Trains don't have onboard battery packs, so the electricity would be stored in external packs at stations, and the electric cars in their parking lots. Researchers are in talks to set up a demonstration version of the system—called TransEnergy—on either the London Underground subway system or a British passenger-rail line. Tourist railroads are one of the unexpected pleasures of travel. Usually operating on trackage that railroads no longer need, they offer low-speed rides through scenic vistas, including locations that tourists often can't reach by car. 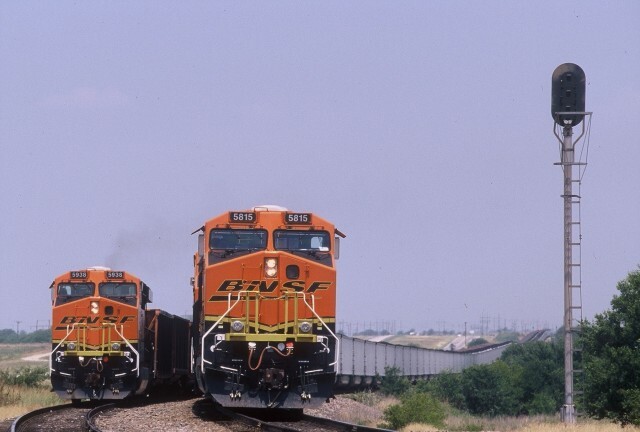 But along with historic railcars on many lines come older engines, usually powered by diesel engines decades old without a single piece of emission-control equipment. 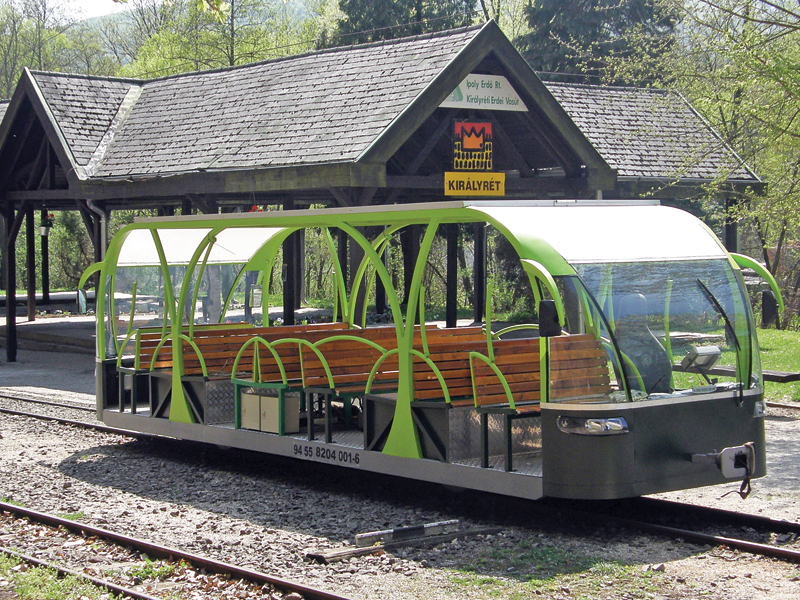 Enter the Börzsöny solar-powered electric passenger railcar. As noted earlier this month in the Railway Gazette, the experimental railcar has a top speed of 16 miles per hour (25 km/h) and is intended for use on a 7.5-mile (12-km) line from Kismaros to Királyrét in Hungary. 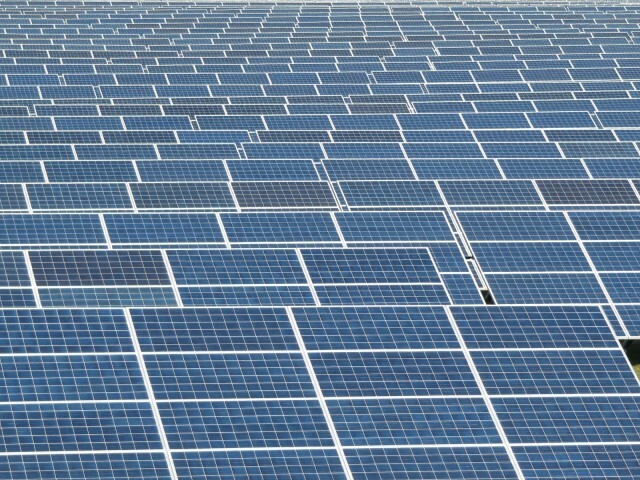 It seats 32 people, and its roof is covered with 106 square feet (9.9 square meters) of photovoltaic solar cells. 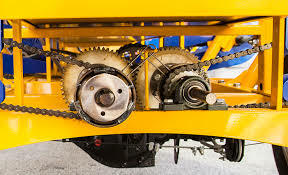 These charge a battery pack of unspecified capacity, though it is said to be sufficient for four or five uphill trips along the line. The returning leg, downhill, requires little energy, although the article doesn't mention whether regenerative braking is used to recapture the car's otherwise wasted momentum on the return trip. The battery can also be plugged into the electric grid to recharge overnight. The solar electric rail car is roughly 27 feet long and 6.6 feet wide, running on 760-mm (2.5-foot) gauge rail track, a narrow-gauge standard used in the former Austro-Hungarian Empire and known as the "Bosnian gauge." The frames and mechanical parts of the solar railcar were supplied by Börzsöny 2020. The electrical systems were provided by Hungarotrain, while GanzPlan contributed documentation.